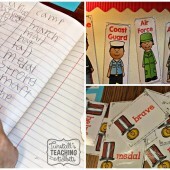 I absolutely LOVE teaching my kids about veterans and the sacrifices they make for our freedom. We have a large military population here in San Antonio. At my school, as I am sure at yours as well, veterans from the community and those related to the students are invited to an assembly and honored with speeches and songs. The teachers and students do our best to decorate our hallways and “cafetorium” to tribute our heroes visually too! 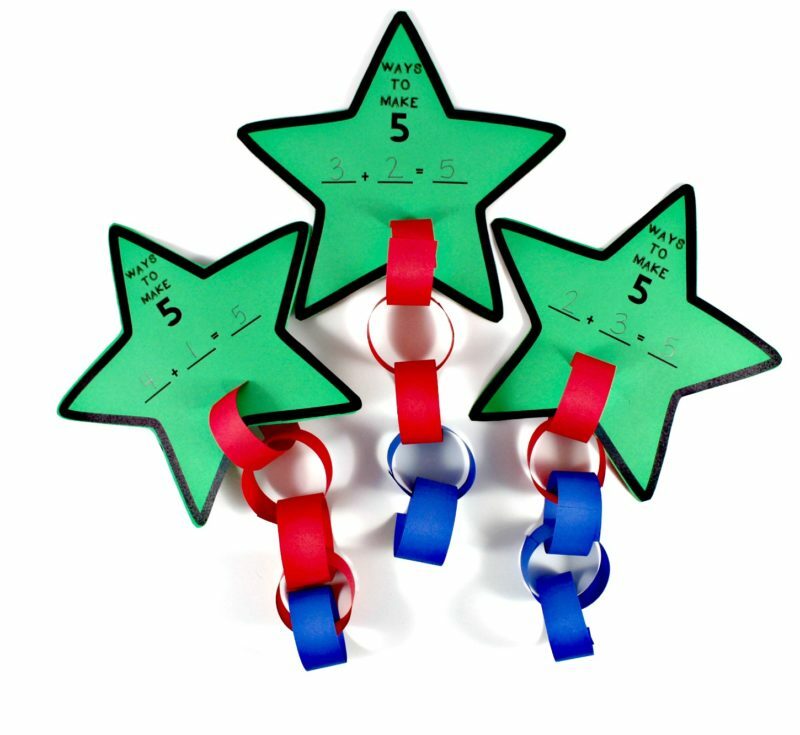 The challenge of course is to keep up with our learning goals while also finding time to make these decorations! 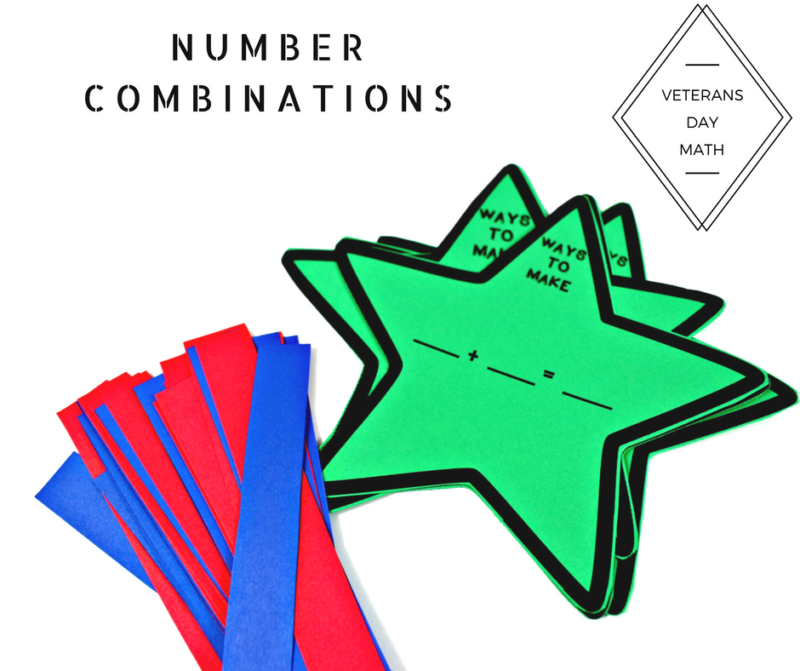 I’m excited to share a fun math activity today that can both help decorate for Veterans Day as well as provide targeted learning too! 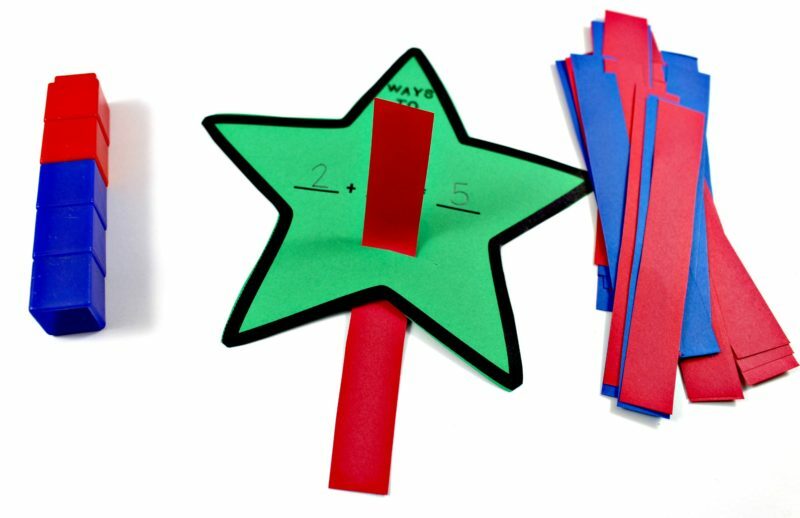 This fun craft is a hands on visual way to review number combinations. 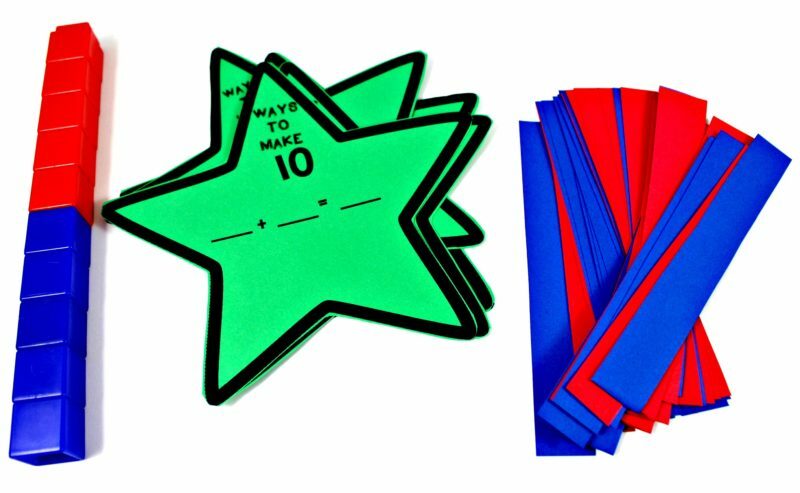 You can use this activity with any target number. I have free templates for you! 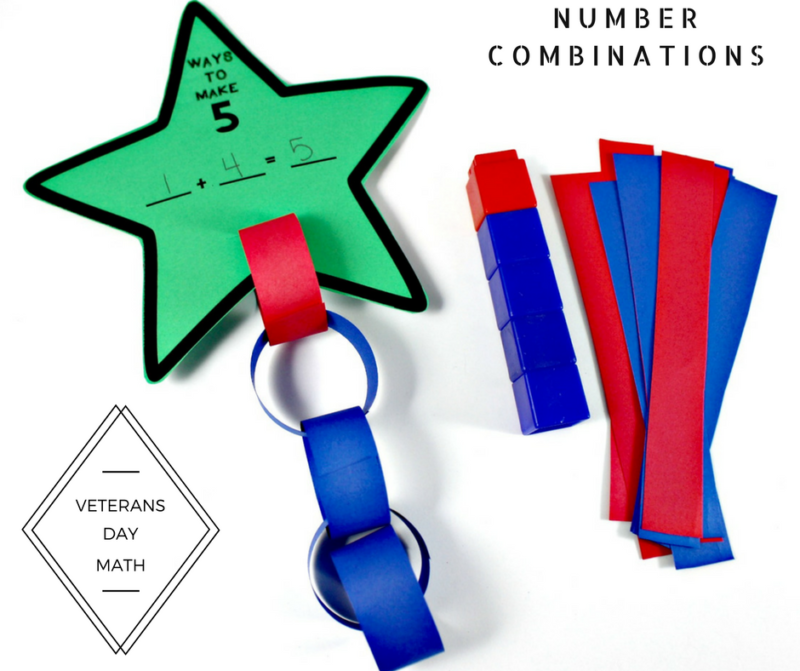 Use this math craft as an independent math center or a whole group Veterans Day activity. For the directions below, I used the ‘ways to make 5’ template. 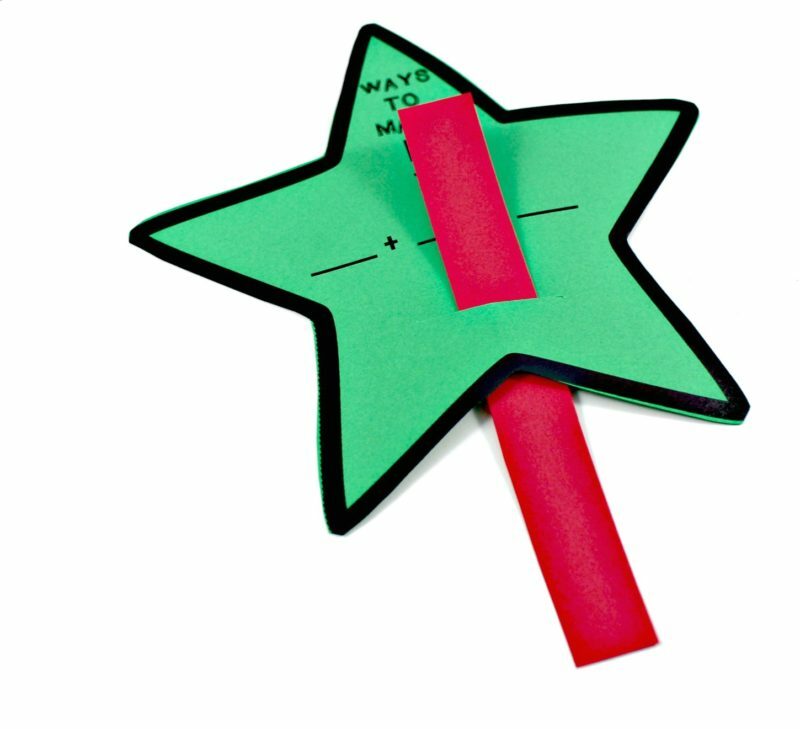 Perhaps the most challenging part of this craft is putting the first paper strip through the star. 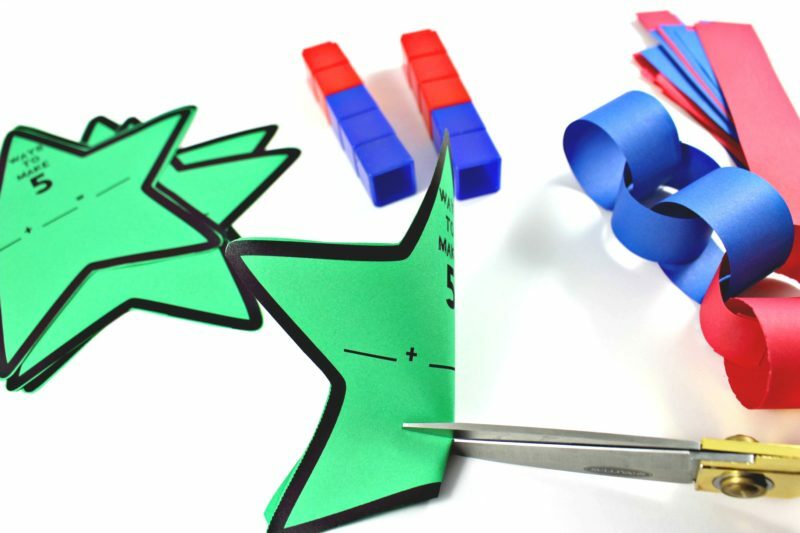 Students pinch the star and cut a slit. 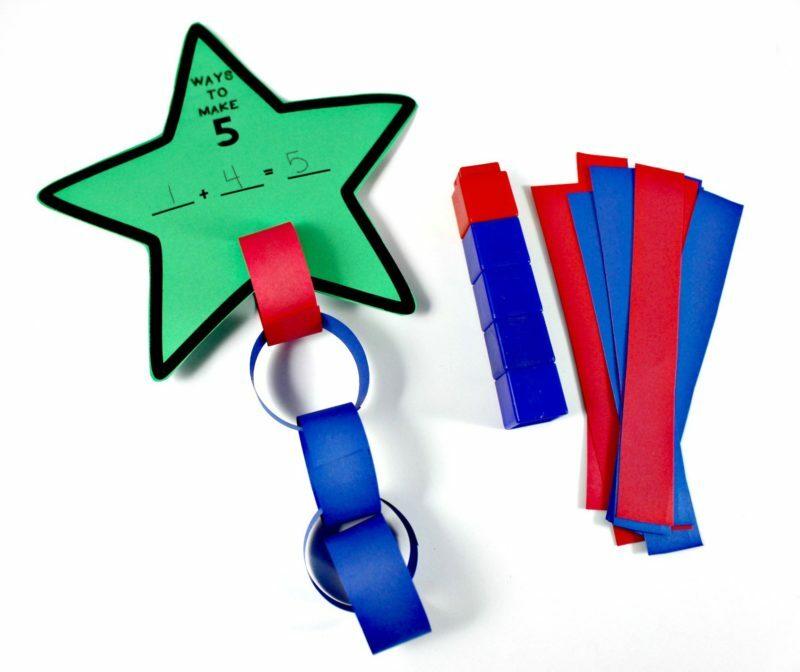 Attach the two ends of the paper strip to make the first link of the math chain. 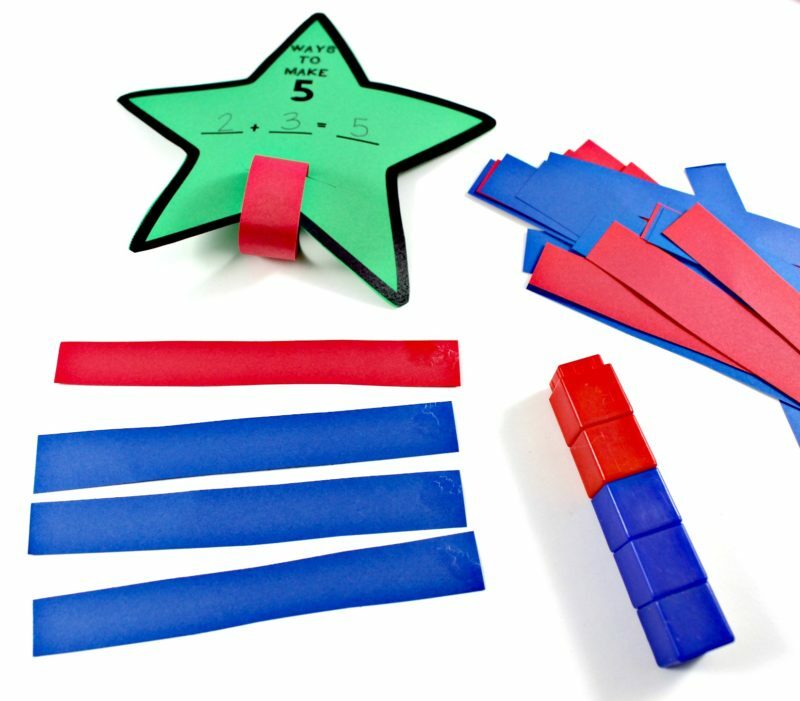 Then line up the remaining paper strips in order for the math equation. 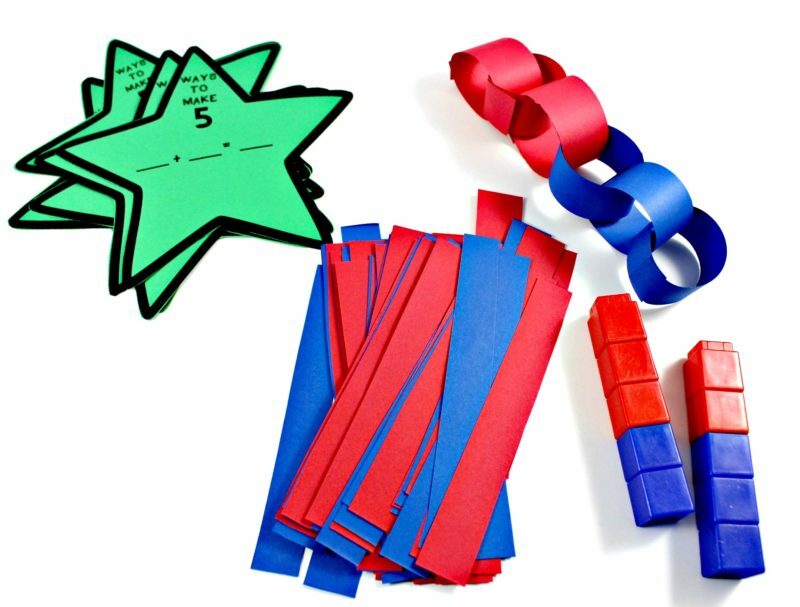 Put a dot of glue stick glue on one end and build the chain to match the equation. 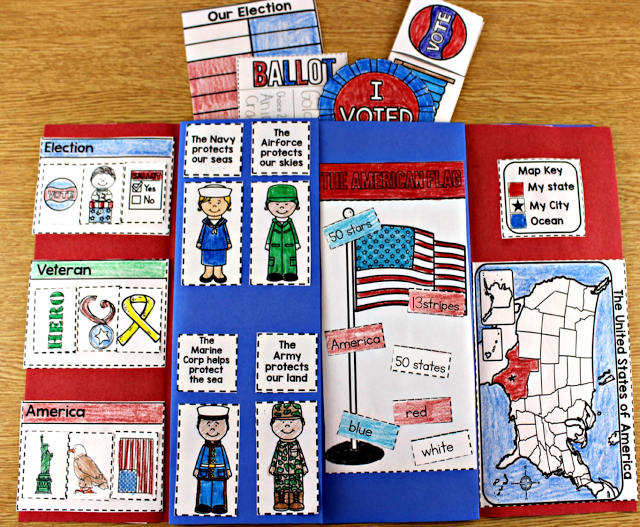 These would be precious hanging from the ceiling, window, or bulletin board! 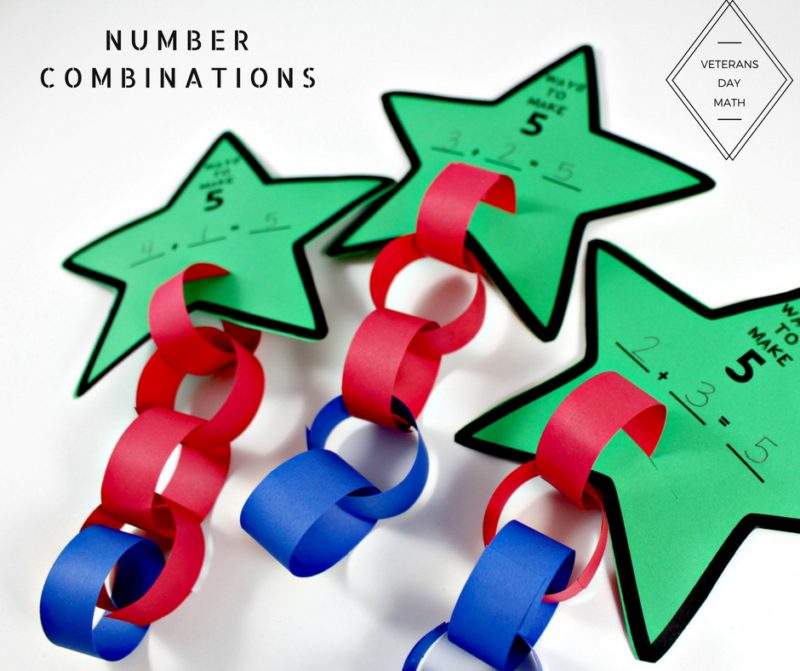 To grab your free number combination templates click HERE! 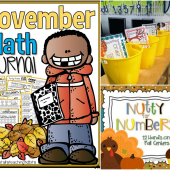 For more Veterans Day math, writing, and literacy check out the post below! 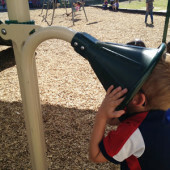 I couldn’t get the URL link to work. Thanks!